Discover the simple pleasures of oceanfront living at Pacific Paradise, a comfortable cottage that sits mere steps away from the beach in Cayucos! 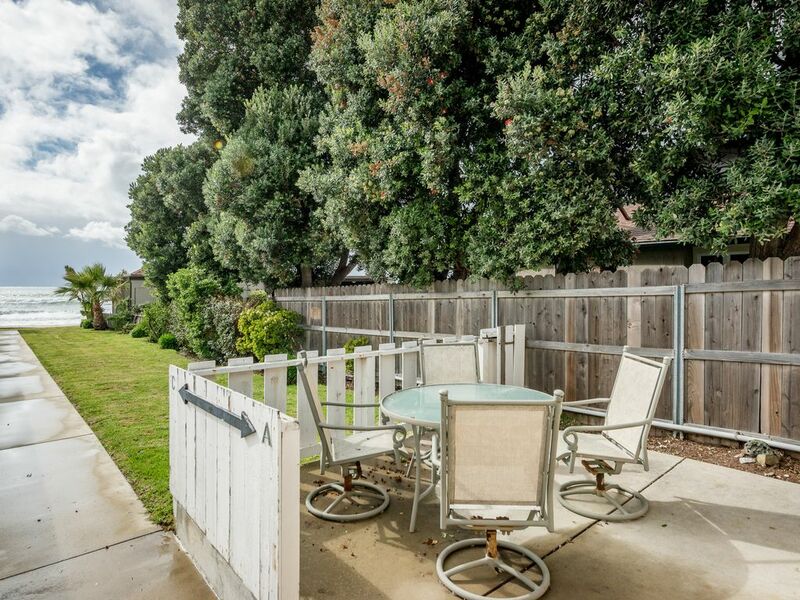 Well-equipped for a small family or two beach-going couples, this property offers an outdoor patio, a cozy living space, and a perfect location for exploring the town of Cayucos and the surrounding area along the Pacific coastline. A paved sidewalk connects this cottage to the Pacific Ocean and miles of sandy shoreline. Cayucos State Beach and the heart of town are less than a mile up the coast, offering an assortment of restaurants and shops to visit. Just four miles north of town, you'll find several great viewpoints from Estero Bluffs State Park and Cayucos Point. Morro Bay, which is home to the Museum of Natural History and the iconic Morro Rock, is only six miles south. Parking Notes: You must park on the property. Street parking is not allowed for rentals. We loved staying here. The view was gorgeous and the house felt like a home away from home. We will definitely be back.